I recently took a trip to Anchorage, Alaska to visit family. I was lucky enough to experience the first snow of the season. While walking on a popular trail that runs through the city, I saw many bikes that I don’t see too often in San Diego: fat tire bikes. I’d heard about fat tire bikes before and had seen pictures of them on the Internet. However, I hadn’t ever seen any up close. While in Anchorage, I was able to inspect a fat tire bike for the first time. A friendly rider had incidentally stopped right in front of me as I walked and I was able to ask him some questions. The first thing I noticed when inspecting the bike was that the tires were humungous; larger than I’d pictured them. They were thick and deeply treaded. The frame was the same size as normal bicycles, but the forks were at an angle to accommodate the tires. “Why did you choose to invest in this fat tire bike?” I asked its rider. 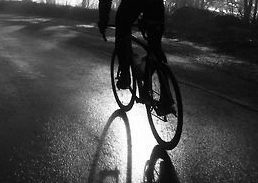 “Because I can ride regardless of the weather anytime and anywhere I want,” he quickly replied. According to his explanation, fat tire bikes are able to adjust to any type of weather. Seeing how the bike faired on the icy path, I can personally attest to the fact that it looked like an easy ride. The super grip of the tires were no match for the snow. Furthermore, the rider explained that the sturdy tires could be taken on and off pavement. He told me that he often rode through uneven grounds off trail through the tree-ridden areas of Anchorage. Finally, he explained how he could ride in the rain, sleet, or snow with heavy winds. The extra weight of fat tire bikes make them a perfect mode of transportation in less than perfect weather. The rider disagreed. 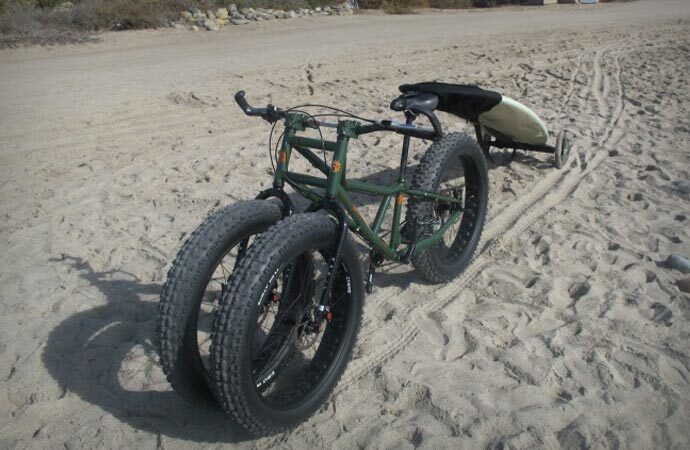 “Actually, fat tire bikes are perfect on the sand,” he told me. He then proceeded to say that he’d taken his fat tire bike to California earlier in the summer and enjoyed many morning beach rides. Over the course of our conversation, I continued to learn that fat tire bikes are extremely comfortable to ride as the tires don’t need much pressure. Little maintenance is required for these bikes which compensates for the price (mid-range bikes can cost anywhere from $1,000 to $3,000). The rider also informed me that these bikes often only have one-speed, making them an ideal bike for exercise. Although fat tire bikes are slower, heavier, and much different than what I’m used to riding, I was coerced into considering purchasing my own fat tire bike in the future. Cruising on the sand while still getting a great workout sounds appealing to this beach lover. Whether or not you’re a beginner or an expert cyclist, I would highly recommend checking out fat tire bikes after my first encounter with them. Happy cycling!